LuxairCARGO and Uni-top Airlines are closely connected for many years. The Group is the leading logistics provider in Central China and has its European headquarter located at the Luxair Cargocenter. The official ceremony of the opening of the new route was celebrated this 15 January 2019. 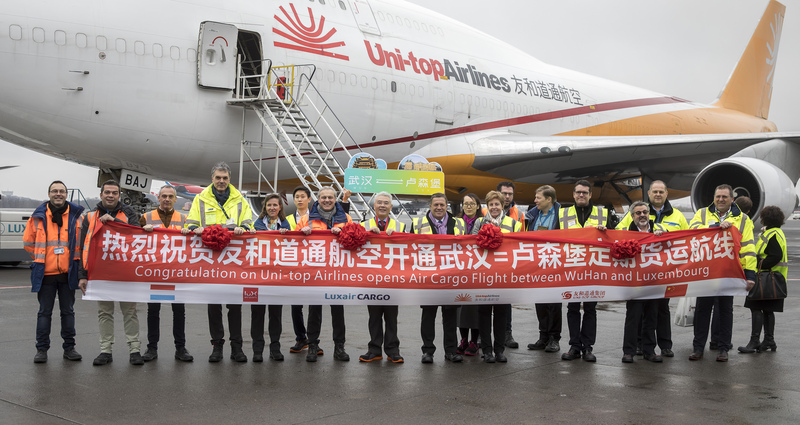 LuxairCARGO is pleased to have Uni-top Airlines as one of its clients. Both companies are looking forward to a fruitful long term corporation between the two companies.